I have read several books that mention this, but exactly how and when did he escape? Anyone got the details? His life was surely in danger from the Bolsheviks. I've heard it was an exciting story about how he jumped the last ship out just in time. I know he lived in Paris for years, when did he first come to the US and become a professor at Stanford? Annie to my mind there were two significant departures made by Kerensky which can be described. Most literature only describe Kerensky's departure from the Winter Palace, under the protection of the Americans Lieutenants Knirsh and Vinner in a borrowed Embassy car waving the American Flag. This incident was not his escape, but a trip intended to rally his troop's spirits. They aparently stopped numerous times to salute troops before reaching the city of Pskov. Most literature tend to ignore Kerensky's stay in Gatchina from October 25. It was here in Gatchina that Kerensky makes his first dramatic break from the Bolsheviks. On the morning of 31 October 1917, the Gatchina Palace began to to be infiltrated with unfamiliar faces. Krasnov - the Commander of Third Cavalry Corps warned Kerensky that the Cossacks were discussing the idea of exchanging him for Lenin. To make his escape he exchanged his clothes for those of a Danish sailor's uniform, and curiously added a pair of aviator's goggles to his new attire. A young soldier called Belensky led this "figure" through the main gate. Kerensky made his way to a car which awaited him at the Chinese Gate at the Gatchina village and made his escape. Sadly the Palace servant who now wore Kerensky's greycoat was beaten and then executed. Several months later wishing to flee Russia, Kerensky now in Moscow, sought a British visa in May 1918, which was denied to him by Wardrop the British Consul-General. Not permitting this temporary disappointment, Fabrikantoff, Kerensky's minder appealed directly to Bruce Lockhart (Head of the British Mission), for assistance. Lockhart sympathized with Kerensky's plight, agreed to personally provide an unauthorized visa on the Serbian passport procured by Fabrikantoff through the Serbian Mission. This time disguised as a Serbian officer, that same evening he was smuggled to the port of Murmansk where a platoon of Serbian soldiers were returning home. Kerensky boarded a British secret Service trawler to Scotland. On 24 June he met with Lloyd George the British Prime Minister. Kerensky lived in Paris where he met the Australian journalist Lydia Tritton. They moved to Brisbane Australia in October 1945, where they lived until her death from a stroke in 1946. He then returned to New York, drifting between France and Germany, and finally settling down in the United States. In 1955 the ex-President Herbert Hoover invited Kerensky to write a book at Stanford University at the Hoover Institution of War Revolution and Peace. He became a member of staff giving lectures and writing a number of books, with the collaboration of his co-editor Robert Browder. He died in June 1970, at age 89, in New York - the year of Lenin's centenary birth. Thank you, that's all very interesting and exciting! I had that Kerensky book checked out of the library once but never got time to finish it. I'll have to get it again. All those disguises he used make me think how easy it really would have been to get the IF out to Finland soon after the abdication. If he thought he couldn't do it, maybe his own escapes showed him he could have, even if the family had to be split into groups to avoid the recognition of parents, son, 4 daughters which would have given them away. I know Kerensky thought he was doing his best protecting them at the time he sent them to Siberia, and had no idea he would also fall and they'd be trapped. You never know, and all the if's are very painful. The October revolution story, as learned by every schoolchild in the USSR, presented Kerensky's wearing woman clothes for his escape from SPb. While Krasnov, Denikin and other leaders of the White movement were painted as mortal enemies of workers and peasants, Kerensky's Soviet-made image was that of a miserable and even comic figure. 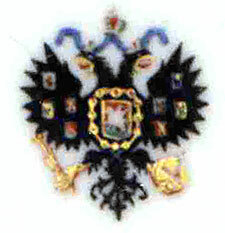 David Francis was the last US Ambassador to Imperial Russia, in Petersburg during the Revolution. He records that Kerensky virtually commandeered Embassy Secretary Whitehorse's personal car to "go to the front" on Nov. 7 because the Bolsheviks had disabled all of the Provisional Govt vehicles at the Winter Palace. Kerensky had sent an officer of his to follow Whitehorse when he saw his working car in the street, and have the officer request Whitehorse to come to Kerensky at the Winter Palace. It was there that he took the car almost by force. and that Kerensky refused to remove the American flag on the car despite Whitehorse's requests. Kerensky was NOT accompanied by any Americans, as Whitehorse had driven it to the Winter Palace accompanied only by his brother in law, Baron Ramsai. Kerensky could not return to Petersburg because of Bolshevik troops. Kerensky could not return to Petersburg because of Bolshevik troops. According to Abraham's book, Kerensky did return to Petrograd where he was briefly reunited with Olga and his boys on January 9 at his mother in-law's appartment, while staying with Dr Olga Maximova's appartment on Vasilievsky Ostrov. Here he commenced to pen his first memoirs about ..."his Premiership and the Kornilov Affair" (p 336). There seems to be much contradictory information about Kerensky's final movements following his departure from the Winter Palace. Abraham's references seem to contradict the notes written by the US Ambassador. Pipes noted that Kerensky borrowed a car from an official of the American Embassy (The Russian Revolution at p 491). Logically it would be difficult to imagine that the car would be returned faithfully, unless of course the driver was indeed an American. Other contradictions concern the question as to what type of attire he wore upon his departure from the Winter Palace. Did he wear his usual uniform or did he disguise himself by wearing female clothing during this journey? If he was dressed as a woman, than the alleged purpose of his departure was certainly not to seek out his troops, but was actually a journey to save himself from imminent death. Pipes (at p 491), asserts that Kerensky fled wearing a Serbian uniform. This clearly contradicts the statements written by Lockhart (British Mission Head) for June of the following year (1918). Figes words parallel those of the US Ambassador (p 486 in A People's Tragedy), where he wrote that a Renault was seized from outside the American Embassy which latter was to launch a diplomatic protest. A second car was "found" outside the English Hospital. Figes also parallels's Abraham by writing that Kerensky did go and seek out his troops, but, Figes believed it was for an entirely different reason. Kerensky needed to be assured that his troops still remained loyal to the Provisional Government. His growing insecurity reached its peak early that morning when he realized that his troops had not responded to his summons of the previous evening - a call to gather in Petrograd. Kerensky was forced to travel by car because the Bolsheviks by this time secured the railways and all government vehicles. I, just as Mike was told that Kerensky did put on women's clothes to disappear from Petrograd. However I could not rely on this allegation without documented evidence. While it can be interesting to compare a few authors writing about this single incident, it becomes very fustrating for the keen history enthusiast who compares a number of books and not simply rely on a single source. It's a shame that Kerensky, being a professor and historian, never wrote his official autobiography so we would know these things for sure. He should have! First, as I suspected, in checking both Pipes and Figes source notes, neither read , or at least acknowledged, Ambassador Francis's book. It is pretty rare and took us a decade to find. So they may account for their not knowing about his report. I can't lay my hands on our copy of Meredith just now, so I can't check his source notes. "I decided to take a big risk and drive all the way across the city. This was part of my normal routine, to which everyone was accustomed. When the fast car I normally used arrived, we explained to the army driver what to do. At the last moment, just before the acting commander of the Petrograd military district, my adjutant, and I left, some officials from the British and US embassies arrived on the scene and offered to drive us out of the city under the American flag. I thanked the Allies for their offer, but said that the head of the government could not drive through the Russian capital under the American flag. As I later learned, however, the car turned out to be useful for one of my officers who could not fit into my own car. It drove a distance behind us." His footnote to this paragraph: "Lies and slander are often quite indistructible. Even to this day foreigners occassionally ask me, with some embarassment, if it is true that I fled from the Winter Palace dressed as a nurse! That foreigners should believe this utter rubbish is perhaps forgivable. But it is quite extraordinary that this story is still p;u out for popular consumption in the Soviet Union. The more serious historical works published in Moscow give a factually accurate account of my departure from Petrograd to Gatchina, but in a vast number of popular histories the same story is repeated over and over again to fool the people of Russia, and also the people of other countries, that this, that I sneaked away dressed in a woman's skirt." I think he did commandeer the car, as pointed out, "borrow" implies a return, which was rather unlikely. Second, the Francis's reports were sent back to Washington, and so are extremely accurate in their nature and Francis has no reason not to report what he knew exactly. I do, though, believe that the report of the nurse uniform was a Soviet bit of dis-information to make Kerensky look like a coward when faced with the "courageous" and "victorious" Bolsheviks. Just my 2cents. Thank you for that report and the name of his book! I wonder if I will be able to find a copy. I didn't really believe the woman's clothes stories either. That is a common way to degrade someone, here in the US, in my state of VA, it was widely reported and often believed that Jefferson Davis fled Richmond and was later apprehended in a dress and bonnet. Once again, it was propaganda, a rumor, the Yankees trying to make him look ridiculous, comical, desperate, pathetic and perhaps cowardly. But there is no evidence it is true. Kerensky did write such a book. "Russia and History's Turning Point", 1965, Meredith Press. It is fairly self serving in nature and should be read with a skeptical eye and cross referenced with more "un-biased" accounts. I concur with FA's assessment, whereby Kerensky's works should be treated with caution. Comparing the extract provided above, with the one presented below, which is an earlier piece written by the same person. The words clearly go a long way to illustrate Kerensky's delusional personality unfolding. FA's reference was written in the US, while the extract below was written soon after Kerensky's exile. This "slighly" different account may be found in may be found in the 1928 copy of The Fall of the Russian Empire written by Edmund Walsh. "I do not know how it happened, but the news of my proposed departure reached the Allied Embassies. Just as we were about to leave, representatives of the British and, as far as I can remember, of the American Embassy arrived saying that the Allied envoys desired that I be accompanied by an automobile flying the American Flag....I accepted the suggestion as evidence of the interest of the Allies in the Russian Provisional Government and their solidarity with it. ... I went into the yard of the Staff Building, together with my companions. We entered my car. Close at hand was the American machine. One of my officers, unable to find room in my car, decided to travel alone, but on the condition that in passing through the city he was to keep his machine, flying the American flag, at a respectful distance from ours ... I occupied my usual seat - on the right. I wore my customary semimilitary uniform, which had become so familiar to the population and to the troops." According to Walsh (p 254), Kerensky left Petrograd in a final bid to mobilize sufficient troops outside the city to fight the Bolsheviks. However this final act was really a lost cause, because Kerensky's authority was already undermined and the remnants of the Provisional Government was severely compromised after the Kornilov "Affair". Walsh kindly provided Mr Francis' account at p 255, which is certainly the most reliable account. What it does as well, is highlight a very important issue which provides the reason why the Embassy was displeased with the use of the car bearing the American Flag. ... "Sectretary Whitehouse rushed in in a great excitement and told me that his automobile, on which he carried an American flag, had been followed to his residence by a Russian officer, who said that Kerensky wanted it to go to the front. Whitehouse and his brother-in-law, Baron Ramsai, who was with him, accompanied the officer to General Headquarters in order to confirm his authority for making this amazing request. ... Kerensky confirmed the Officer's statement that he wanted Whitehouse's car to go to the front. Whitehouse asserted: "This is my personal property and you have (pointing across the square to the Winter Palace) thirty or more automobiles waiting in front of the Palace." Kerensky replied: "Those were put out of commission during the night and the Bolsheviki now command all the troops in Petrograd except some who claim to be neutral and refuse to obey my orders." Whitehouse and Ramsai, after a hurried conference, came to the proper conclusion that, as the car had virtually been commandeered, they could offer no further objection. After they had left the Headquarters, Whitehouse remembered the American flag, and, returning, told the officer who had originally asked for the car that he must remove the American Flag before using the car. He objected to doing this, and after some argument Whitehouse had to be content with registering a protest against Kerensky's use of the flag, and left to report the affair to me." Clearly the vehicle was not stolen but grudgingly provided for Kerensky's use. Figes' assertion (in A Peoples's Dance) that the act of seizure of the car was the cause of political incident is clearly not correct. IMHO most historians seemed to have ignored the blatant breach in protocol. The American Flag was "taken" and then used without authority, by a Russian citizen instead of by the American Ambassador. Both of the exerpts I have provided above at least confirm that Kerensky was more than likely wearing his usual attire (which must be remembered was later exchanged in Gatchina Palace). There is no logical reason for Kerensky to wear anything else under the circumstances provided in the exerpts, and moreso, because he was "protected" by the American Flag. Secondly, Kerensky did not flee Petrograd with the intention of fleeing Russia as alleged by most historians. The purpose of his departure was indeed to seek out troops loyal still to the Provisional Government. At this time he had no intention of fleeing the country. Thank you Belochka. Your transcript of Francis's account is exactly as in his book. I didn't have time to transcribe it, thank you for doing that. I think it is useful to understand the immediate circumstances here to fully understand this point. Ambassador Francis's stated official and publicly declared position was to fully support Kerensky however he could. (in fact, Francis was the very first foreign ambassador to recognize the Provisional Govt. officially) Whitehorse was fully aware of this, and in fact had some of Kerensky's officers living with him. As Kerensky was the recognized Head of State at the time, Kerensky's direct request for the car would be seen as "official" to Whitehorse, thus Whitehorse really would have had no choice in the matter, given the Embassy position at the time, but to give him his car. Whitehorse's refusal to cooperate would have been seen as a major change in the offical US position. given the Embassy position at the time, but to give him his car. Whitehorse's refusal to cooperate would have been seen as a major change in the offical US position. Again FA, I agree with you! The only real point of contention was the breach of protocol. In Kerensky's book Turning Points he condemns himself by claiming that he was permitted to ride in a car bearing the US flag. I heard from Kerensky himself as he was nearing the end of his life. Could you please tell us more about your encounter with Kerensky? I'm sure many would read it with a profound interest.